the “one day I will tell you my story “… that story … Here it is folks! There are 2 ways to tell a personal story… be practical … or be emotional. I am attempting to be practical, maybe a little humor and probably end up emotional b/c I can not tell my own story without tears. So get your Kleenex for pity sakes. 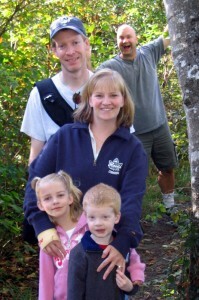 =) and I apologize now for the length… I can NOT reveal 10 years of medical stress in a short post. Bear with me if you will or just go straight to the bottom tell me I am a lunatic thinking anyone wants to read all this and come back tomorrow for pie. First ~ Blogging ~ 6 months into being blessed beyond belief in this land of blog by amazing courageous women who share their stories… 6 months into what I thought would be a fun world to play in… has become a world of friendship, encouragement, inspiration and even the start of some healing for me… unexpected beauty I didn’t even realize I needed! you all Bless My Socks off! So…6 months into blogging I am going to lay it all out here … I am going to give you the Story behind the Seizing My Day Jenn and hope y’all don’t flee from this girls blog… b/c I love y’all too much! Over the years… I have tried NOT to let our “issues” define me…. I do smile daily, I laugh daily, I enjoy life daily.… ( I also whine daily, complain daily, have normal mom frustrations daily, etc. etc. ha ha) I am just a girl ~ a girl who loves God ~ a girl with a wonderful husband and 2 fabulous kids ~ I am a girl who loves friends and coffee and camping and the beach … The Truth is I am a girl with a story that does define her even though I try to not let it ~ a story that is not over yet. Then this girl met a boy …the boy and girl feel in love… after a lovely summer romance the girl made arrangements to move closer to the boys in Canada 4 hours away… the boy and girl knew they were heading towards marriage… then the boy was diagnosed with cancer… yikes… radical surgeries took place to save the boy… the girl moved to the boys country and went through this with the boy… a year later the girl and boy were married. they were happy. a year later the girl got pregnant and really sick… while the girl was feeling miserable every day with a baby growing insider her… the girls mom was diagnosed with aggressive cancer… the girls heart broke… the girl got to see her mom a little during this time… not as much as she wanted … the girl had a beautiful baby girl … shortly after the beautiful baby was born the boy’s cancer returned… the girl with a newborn baby had a mom and husband with cancer . the girl was strong. the boy was strong. the girl and boy trusted God. the boys cancer was surgically removed again. They cried and laughed their way through it again. but then the girls mom died when the girls baby was 4 months old. the girl was very very sad. the girl loved God and trusted him. the girl found peace. the girl was sad but chose to enjoy the memories of her mom and continue surrendering her life to God and his plan. The girl knew in her heart to give thanks in all circumstances. In all things by prayer and petition with thanksgiving she gave her heart to God and found peace. Philippians 2:14 and Ephesians 5:20 and Colossians 2:6-7 were verses the girl clung to! Please take a few moments to read those if you have a bible! =) Those verses reminded me to Trust God in All Circumstances… those verses reminded me to be Thankful in all circumstances… those verses reminded me to keep my eyes and heart on God’s plan for our life. 6 weeks into the baby boy’s life his eyes started flicking back and forth rapidly. the girl and boy worried and took him to doctors. the doctors could not figure out why the baby’s eyes were moving. 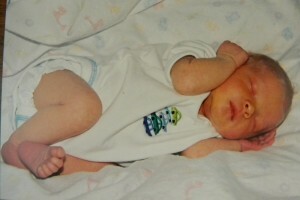 the baby boy had Nystagmus (wobbly eyes). the girl noticed the baby also choked on milk every time he drank from the mommy. the doctor reassured her regularly that it was nothing. the other doctors also told her that there could be a brain tumor or someting with the baby boy but the boy would not get an MRI until he was 2 years old. WHAT?!! the girl was emotional, worried, angry. soon the girl realized her baby could not see her from the other side of the room. the baby could only see her from close up. soon the girl realized her baby was not meeting milestones either. He was a cute rolly polly chubby baby who was happy most of the time. he gave everyone joy. the baby saw many many doctors and nobody understood why the baby had low muscle tone, woke every 2 hours at night, and had nystagmus (wobbly eyes) and low vision. the baby was puzzling doctors. the waking every 2 hours was emotionally and physically draining to the boy and girl. who also had a beautiful happy busy little girl to love and play with. the girl and boy learned to live around the baby’s mystery “issues” and coped with severe lack of sleep and WAY too much stress. They laughed, they lived, they tried to be normal and enjoy life. they tried to surrender to God. they tried to see him in the midst. they tried to trust God’s plan. God was revealing himself during this time. The girl again remembered that in ALL things to give thanks, to praying without ceasing, to trust God, to cling to Him who had a perfect plan for them. while others talked about healing and told her they were praying for healing… God revealed to the girl that He wanted her to be content with HIS plan…to surrender the baby Sammy to Him.. to love the baby just as he was. she choose to walk a path in life God choose with the baby as he was. being thankful for this baby… just as he was. not wishing for a baby she didn’t get… but enjoying the baby she had. knowing the baby would show her and the boy a life they would have never otherwise known. with unexpected blessings along side the steep path they traveled. she would learn things that she would not have otherwise learned. the girl trusted reluctantly at this point b/c the girl was weary. =) at about 18 months old the baby was still waking at night every 2 hours. the baby still had low vision and wobbly eyes. the baby still had low muscle tone and choked on fluids (the girl Finally got doctors to take that seriously at 18 months) the baby was diagnosed with aspiration of fluids… fluids were going into the baby’s lungs for 18 months. lovely. the girl and boy were barely coping and really weary, stressed, worried and frustrated that there was no label to help them define what they were going through with this beautiful baby. the baby had seen countless doctors and specialists. the girl continued to seek God wearily and from a distance. not wanting to surrender completely. not wanting to trust completely. what if…. yes… her mind went “there” often… *sigh* .. she tried to give this giant burden to her God but she struggled. wrestled. she was angry sometimes. she was broken. the girl and boy were coping differently. sometimes it was hard. but they made it through the hardest of times. laughing and enjoying as much of life as they could around the chaos and uncertainty. anyway after a year or two of testing in the USA …the baby was a little boy now… the red patches in his colon got bigger… and 6 months later the bleeding got worse..doctors ran more tests… there were veins… varicose veins (bulging veins) that should not be in the little boys large intestine (colon) and they were beginning to creep into the small intestines. 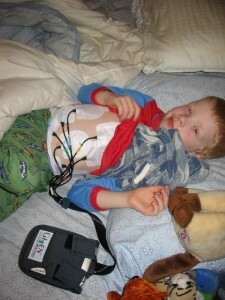 the little boy went through another long series of tests looking for reasons (blockage) in his veins. nothing. the doctors were puzzled. the genetics doctors could not figure it out. the gastrointestinal doctors could not figure it out. the neurologists couldn’t figure it out. the ophthalmologist was only concerned with the eyes. the peds doctor was fascinated but did not know what to do. the gastrointestinal doctors “thought” he “might” have weak blood vessels in his GI track (throat down to the bowels) the girl slowly figured out foods that triggered bleeding. 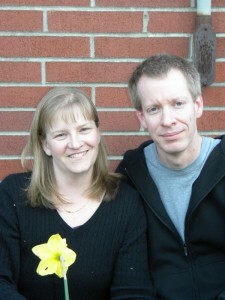 the girl slowly “managed” the baby boys condition by trial and error and the internet… Praise God for the internet! the girl is a darn good researcher now . =) the baby boy was now 4 years old now. He was cute, smiley, happy, smart, funny, enjoyable… despite all he went through. here he is with a camera capsule inside his little body and that machine is the recorder. 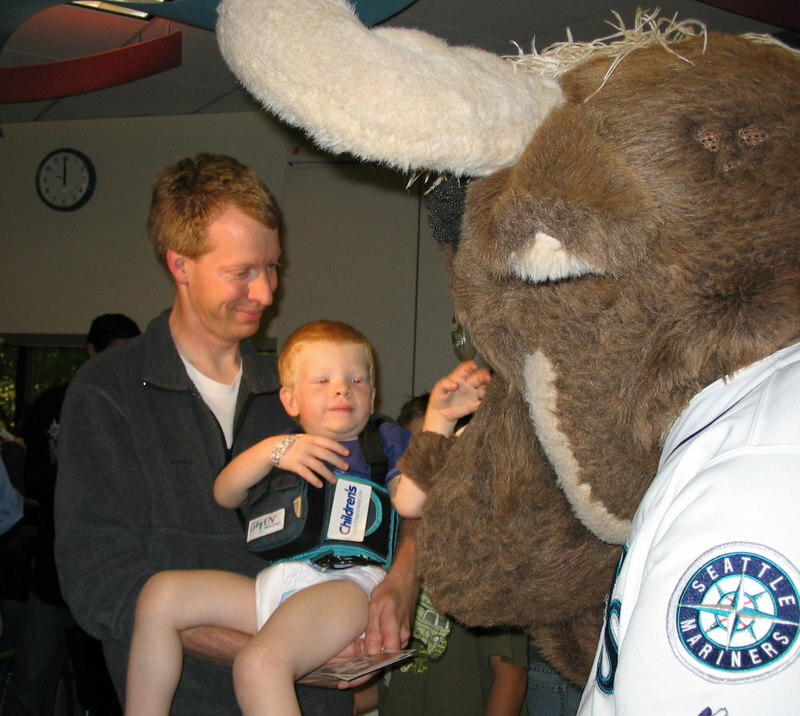 it was a hard day but he got to meet the Mariners and more importantly the Moose! actually he had this camera thing done twice… I think the top one was when he was nearly 5… the Moose one was when he was 3 1/2…??? blurry days! 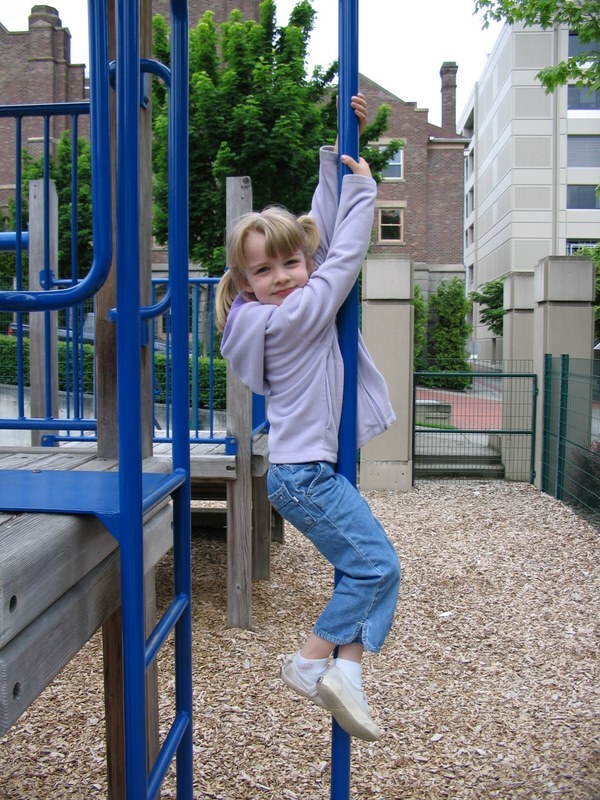 children’s hospitals have playgrounds =) little blessings. happy girl. by the way. the waking every 2 hours lasted for 3-4 years. when we moved to the USA the doctors found acid reflux… (so simple) UGH!! the baby boy slept “better” once the girl took away foods that triggered acid reflux (the reflux meds increased the little boys bleeding… of course!) so we managed it by diet without meds. 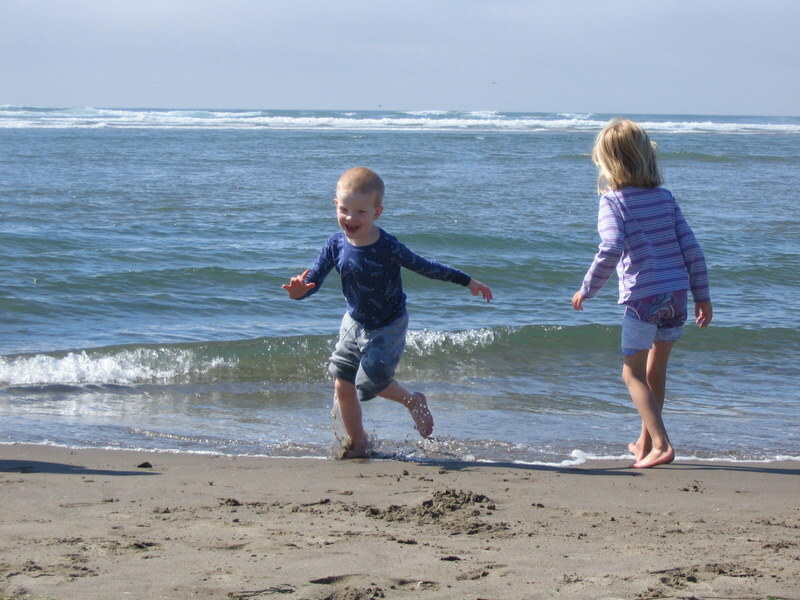 oh and at about age 5 we discovered little boys body temp drops “too quickly” … when he … accidentally take a tumble in the ocean… or goes swimming in a cool pool… or when he gets the flu. I promise as long as I live I will NEVER have another post THIS long. Sammy is a witty, funny, smart, delightful little boy. He always has been. he loves all things little boy. lego, nerf, pirates, construction, forts, building… and on his softer side animals! =) I am blessed beyond belief with children who are happy, delightful, enjoyable, obedient, kind, funny, sweet, smart… I could go on and on. whiny, selfish, irritating ~ did I say that out loud. Abby has lived a very crazy life around her brother and all his issues. She has excelled in school, gymnastics, soccer, piano.. she has developed good friends, hobbies, a love for animals, reading and writing. She has developed a few issues of her own too (anxiety) =) partly related to all the “stuff” she has witnessed. My mom was prone to anxiety, I struggled with it as a kid and adult! and now my little girl struggles with it some. genetics. =) anyway…. Back to when Sammy was 5 when the bleeding was the worst. That is the year they discovered the blood vessels covering his entire colon. that is the year I LOST it they told us they had not ONE case to compare him to. doctors sent out Sammy’s story to a world wide web for “mystery cases” and only found one teenager with a very mild case of blood vessels… but he did not have all the other issues Sammy has. We researched a billion genetic disorders… a few of which he “might” have a unique combination of … we even spoke with and emailed genetics doctors on the East Coast. 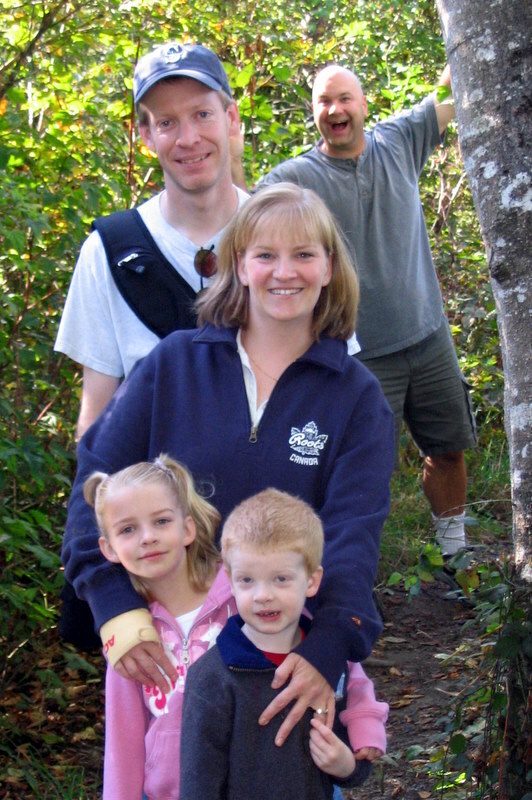 Sometimes the genetic disorders found us… but by the time he was 5 our options were exhausted. we were exhausted. It was hard putting him through all the testing. SOOOOOO ……..Though I had a hard time “surrendering” the search b/c I wanted to know exactly HOW to treat Sammy’s medical issues so that he had the best quality of care. I wanted to know I was protecting him as much as I possibly could. I didn’t want to give up and regret it later! But I knew a couple years ago I HAD exhausted the search and God clearly was not going to reveal WHAT Sammy has. not now anyway. I have read enough, researched enough, asked the Hard questions and in my mind I face reality. Reality is ~ IF Sammy does in fact have weak blood vessels ~ one day something might burst ~ if they are weak and fragile they will be nearly impossible to repair. One day we may (probably will) face tragedy. that is my reality. that is what I fear. that is why I struggle with fear. that is what drives me to protect my heart. a heart that was already weary and exhausted. that is what drives a wedge between me surrendering my little boy to God 100%. that is what keeps my walls high. it is way easier to live surface level with most of the people around me. not that I want to live sobbing all the time.. =) I don’t want to live waiting for bad things to happen either. and I don’t. I am just saying it is really hard to free your heart and mind from said possible (likely) events. I know so many families live with medical conditions… some I know personally … and some I have learned their stories through friends and now even blogs! some peoples stories seem way worse than ours.. I imagine I feel like the mom of a family who struggles with cystic fibrosis.. where they know one day their child’s lungs could loose the battle. one day I know my sons blood vessels may loose the battle. I know I am not alone. I know God loves me and my family. God has blessed me with beautiful experiences in the midst. God has provided for our family. God has done beautiful things in us, around us and through us. to name a few =) they are all focused on being Thankful in ALL circumstances. learning from my circumstances. letting God work in the midst of my circumstances. trusting. choosing to allow the Peace of God to rule in my heart. Bless you all for coming and reading to the end! OH.. and Happy Canada Day to all my Canadian friends! 4149 words. yikes. Thank you for sharing your heart and your light. You are a beautiful person inside and out, as is your family. Congratulations on your struggles, they are what make you who you are today. Wow. This story is so amazing! I don’t know what to say. Thank goodness for your perseverance and love. I can’t even pretend to know how you have been feeling through all this so I can’t say that I understand, but I care very, very much, and you are such a testament of faith. Without it, I am sure this whole experience would have been far more difficult to get through. I hope that Sammy will beat this thing and that a blood vessel will never burst. My favorite quote is God will never put you through what he can’t pull you through. Bless your dear family and the mom of heaven’s newest lil angel. Don’t apologize for telling the truth. Blogs are our own – they are our stories – the happy, sad, hard and fun. Things have been so difficult for you, but I admire your perserverance and faith in pushing through. I am guessing you are referencing Charley in your last note – I am so sad for that family as well. What a heartbreaking story. You are an AMAZING mother and wife. I feel like any words I offer here will sound trite. But I will take a chance and offer them anyway. What an incredible story you have shared with us. You give a face to the passage that states He will never tempt us beyond what we can bear. Bless you for that. I will make sure I keep you and your husband (I assume he is currently cancer free?) and your precious children in my prayers. Wow! When I hear stories like yours…(not that I’ve ever heard a story quite like yours, but I have known friends who dealt with a special need child or suffered a loss) I don’t have the words. That would be the words to express my admiration for your faith and your ability to share your vulnerability during the times your trust in God came and went – the moment that you were human. Your family and the friend are in my prayers. Wow..Jenn!! I’m so glad you sat down and typed all 4149 words down!! What a story…What a testimony! Thanks so much for sharing this. I feel like I just have been handed the bigger picture of your life. And…as I read, I couldn’t help but think how your life exudes Christ. Your response in each situation..your faith…well, just inspiring. Interesting…as I read about your son, I immediately thought reflux before you even mentioned it. Having three who suffered from it…I recognize that waking every 2 hours anywhere. And..I so hear you on the church thing. We are also in the process of trying to find a church family… the process can be painful. Praying that God will bring you to the perfect family for you. Loved reading this… God gave you so much to bear, because he knew you could handle it… he NEVER gives us more than we can bear… sometimes just the thought of that can be so uplifting, and sometimes we just lay down and say, “Well God, I’m pretty sure you got it all wrong, I can’t handle this.” Or maybe that’s just me. So glad that you shared it. I’ve discovered that blogging is, above all else, a permanent journal of our lives. From daily happenings, to my thoughts, whatever. I hope that my kids and grandkids will be able to read it, even after I’m gone to glory. I hope you find a church family soon, and I will pray for you daily. Hugs! Wow. My prayers are with that woman who lost a child and they are with you and your family. God gave you this child and this situation and it has made your faith stronger! That is so wonderful! I hope you find a church family where you feel comfortable. I have a small church and we are definitely a church family and very close. You would fit in perfect. Too bad you’re so far away, we’d love to have you! It is amazing how you have endured! Thank you for sharing this with us. Thank you so much for sharing your story. What a story it is. God has used you and is using you in amazing ways. Just by putting yourself out here, God is using you. I pray that you will be encouraged. I’m so sorry that it is so difficult to “fit in” to a church. That must be a huge struggle! God knows your heart though. And if he has you in Children’s church, there is a reason. Thanks again for sharing your story. You have encouraged me and I’m sure many others! You have really opened your heart here to your blogging friends. You have been through so much. I really admire how you approach life and keep going for your family. Your son and daughter are amazing. I lost my father 2 years ago to cancer. I put those walls up around myself too and they are not fully down. I have found fellow bloggers to have helped me enormously too. I hope and pray that you find a supportive church soon. Oh wow, Jenn, I had no idea about all that you and your family have been through!!! You are so strong. It’s actually quite inspiring. Thank you so much for sharing this. I still hope you find answers about Sammy, and find a supportive church community, and also that cancer stays FAR AWAY from your family for the rest of your lives. Thinking of you and sending good thoughts your way. Love you jenny! I wish you were here to share community with us… you’d love it and we’d love you all too! good reminder to make the most of all the moments we have… xoxoxoxoxo always wishing you were closer! hey girl! thank you so much for sharing! it’s amazing how upturned our lives can be sometimes, isn’t it???!!! way to go on keeping a positive attitude…and yes, while someone else may have a “worse” story…please remember that your story is yours to live…and you shouldn’t demean it either. it is hard. so hard. even if it isn’t as terrible as someone else’s. it’s okay to be sad about it sometimes. but always remember that for as fiercely as you love your babies…god loves them MORE. hang in there girl!!! oh, my dear friend. i thought i knew your story, and i only knew a fraction. my heart breaks for you. but, i am a praying friend…and it’s always good to have one of those in your corner! I leave on my vacation in the morning…but I’ll be thinking of you. Keep the faith, Jenn. Keep the faith.